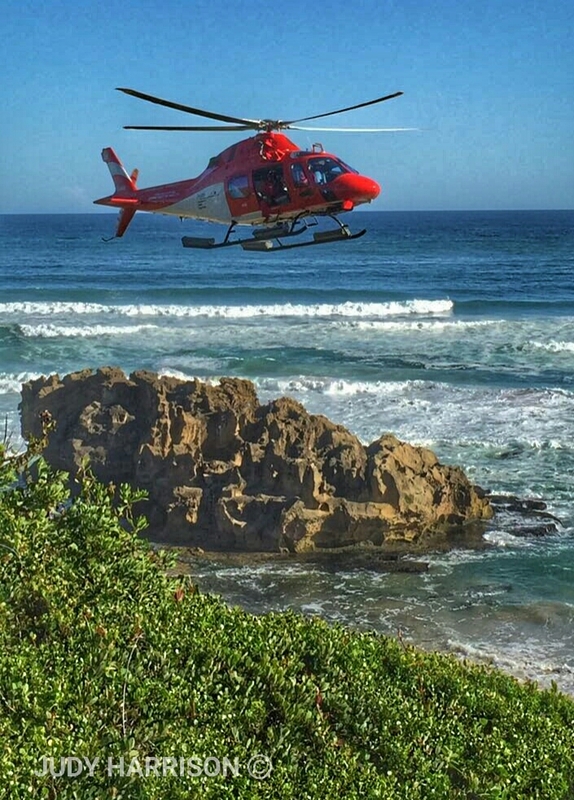 It was a day like any other day on the Garden Route…..Actually I lie there are no ordinary days in the Garden Route, there are flyable days and non flyable days and then maybe some iffie days… I think I can fly days. I guess Friday was one of them. I walked onto the grass lawn in front of the hotel , stretched my arms out and felt the SW breeze full in my face, perfect I thought. I trotted back to my car and fetch my packed Paraglider from the boot. 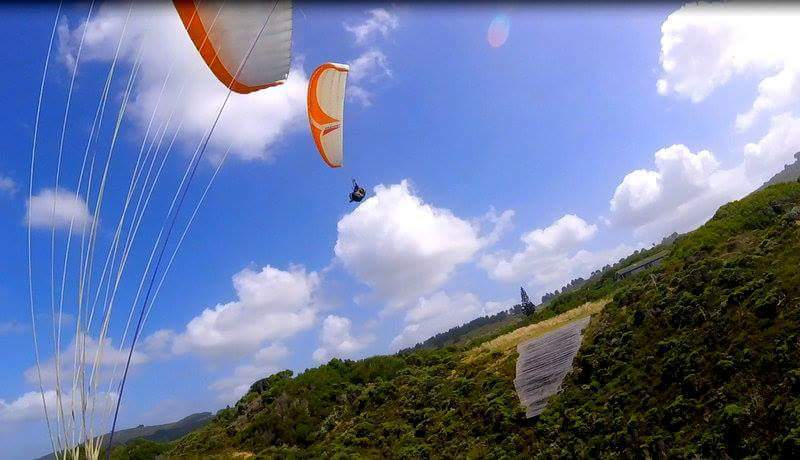 The normal prep takes up to 10 min and once the glider was prepped I turned and faced the ocean again, the wind felt lighter but still good, well I thought to myself if I don’t go up I can land on the beach, or that was the idea at least. I turned back to pull up the glider and it went up with ease, beautiful, I thought. I turned and faced the cliffs edge. Run … and I did. What I didn’t take into consideration was the ligth air plus the fynbos, I tried to air walk over it, but no luck, my left foot got stuck and the next thing I was swung to the left, now airborne and approaching a rock section to my left, quiet fast, as it pendulumed me out my left leg hit the side of the rock and immediately I could feel the crunch…. in a split second I knew my leg was broken. Slowly my mind composed itself and the practical me kicked in. Ok, cell phone was in a pocket under me.. not good. Did someone see me fall? I check my position and my glider. I slowly unclipped it. Step one. Then a voice called out in a heavy German accent “are you ok?” “No” , I shouted back. “I am not ok. 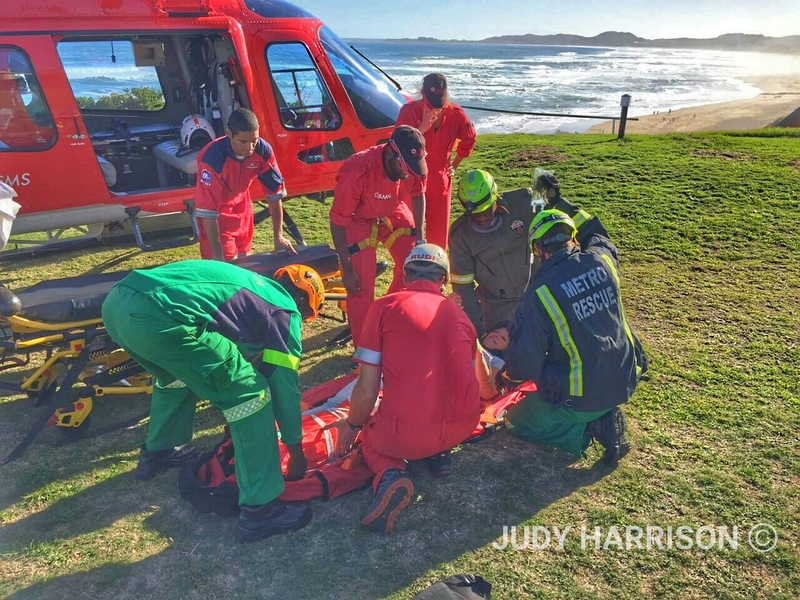 I have broken my leg.” The next thing I saw a gentleman bashing through the bushes.. Thomas, a tourist, he saw me fall and braved his way down the hill through the fynbos. He was light hearted and awesome at that particular moment. He raised the alarm and asked his family to call for help. He assisted getting my harness turned so that I could reach my cell phone. 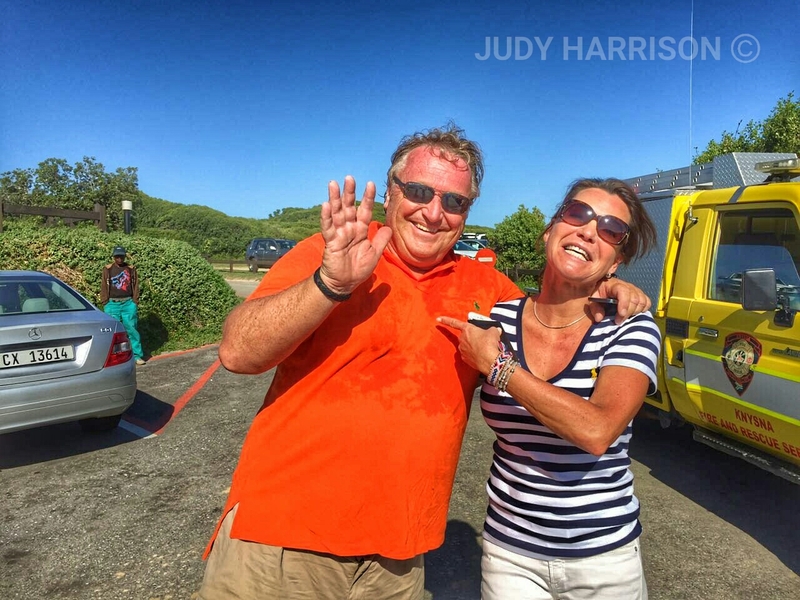 First call was to my friend Judy, much like an older sister to me, as she always keeps me in check. 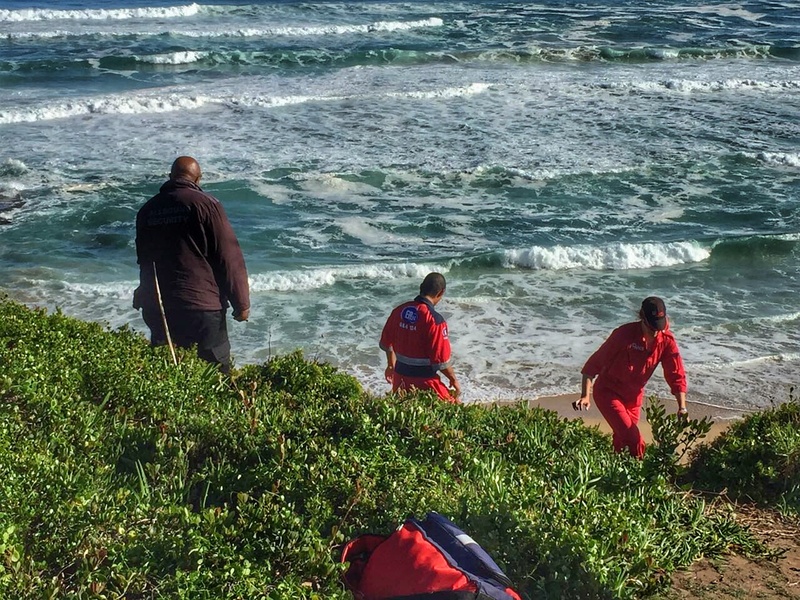 Next call , Warren from NSRI , next paragliding mates… no answer. Ok done, Thomas the angel brought water and kept me laughing, for how ever long I was lying there, which I suspected was for about an hour. 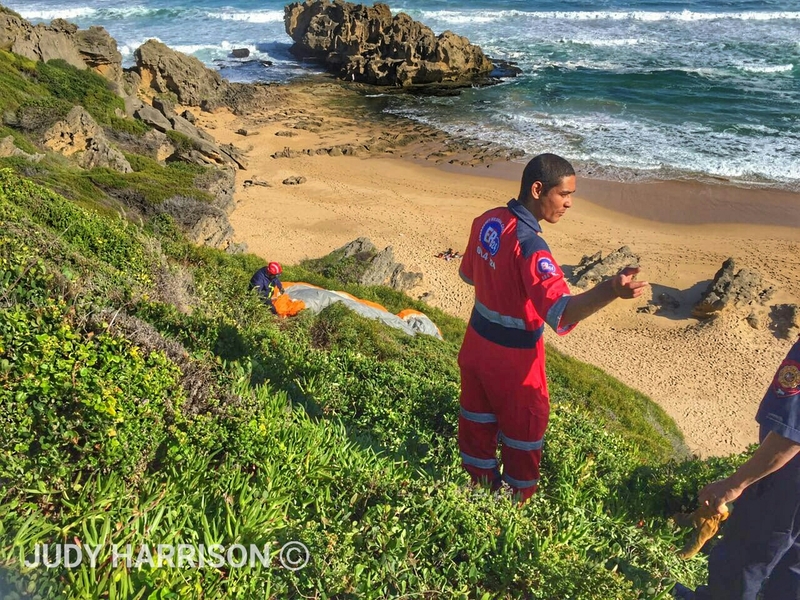 The next person to arrive on the scene was Rudi, paramedic specialising in rescue. I had a chuckle when he thanked me for the level of difficulty I created for the rescue….I told him I was glad I could help out, I think. He worked fast and efficient, the first doses of Morfine went through me like a racing snake, it hardly touch sides and the pain was now pretty unbearable. Yes Rudi, the pain was still a nine. After stabilising me , checking all the vital signs and feeling a bit more relaxed the fire rescuers arrived. 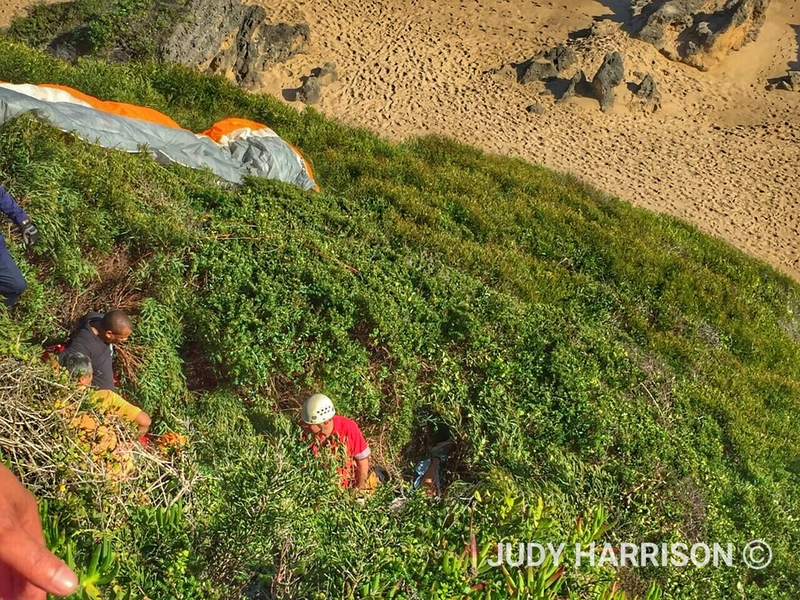 It was time to get me off the side of the cliff and out of my little fynbos nest which I was creating. Peter arrived, a familiar face. “Hello Pete, please can I ask you to pack my glider, etc etc instructions” well at least my glider was safe. Thomas has disappeared by now, I presumed he has gone back up. “Good” I thought, he was getting sunburnt and there was only so much space at the edge of this Cliff..
Ok next step, getting me and the board in the bag… Bag? Then I heard it, the rotor blades of a chopper, I don’t care in how much pain one is in, if there is flying involved it means happiness in my life. 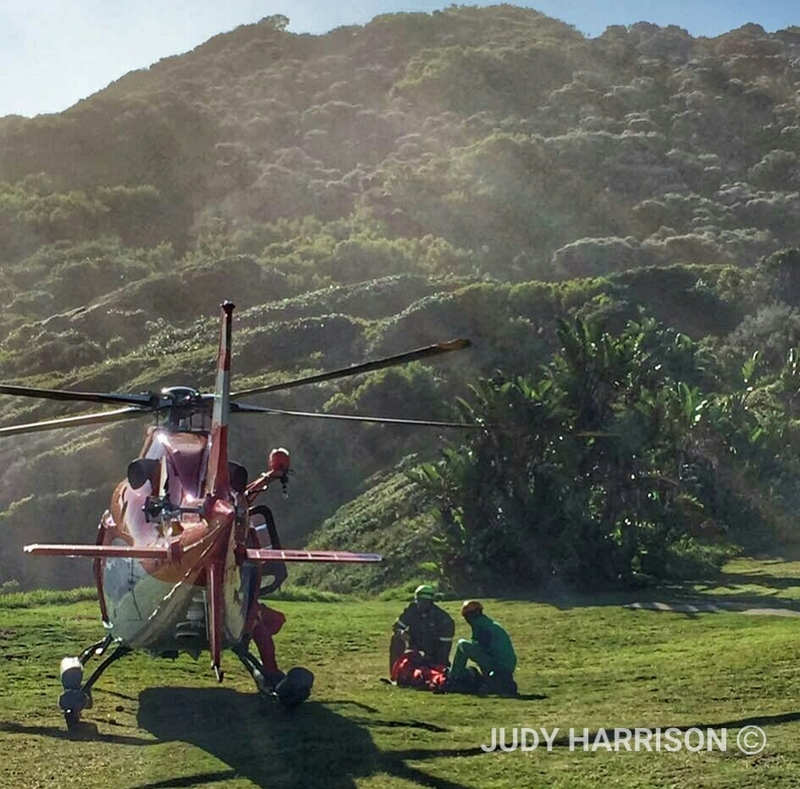 You’ll be air lifted by helicopter, yippee… I know it sounds weird but hey, flying is flying. Wow, a few bumps here and there and there I was, high in the sky. Not what I had planned for the day but alas..
A quick movement foward and slowly being lowered onto the lawn in front of the Hotel, and down. Hands , ropes, smiling faces, uniforms, what a collection of uniforms and faces. The first emotion besides pain I felt after that was relief, seeing Judy, tears started rolling down my face. 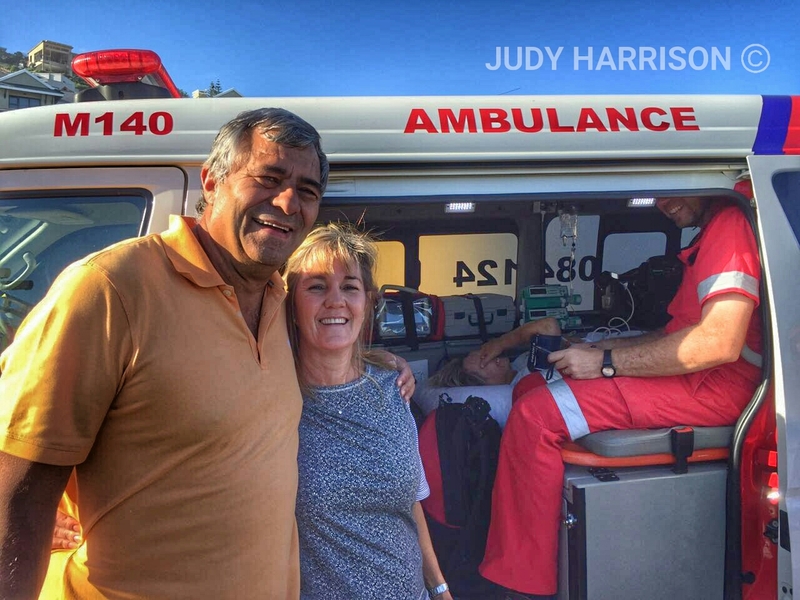 I felt safe… Then I saw more familiar faces, waving and smiling on my way to the ambulance. The safety of the ambulance couldn’t get there quick enough, Rudi diligently checked my vitals and kept me updated. Eventually we started moving, slowly taking on one bump at a time. We arrived at the Hospital’s Emergency Care and new hands and faces took over. My daughter arrived, more tears… Before you know it I was introduced to Dr Tim Reardon, examed and zipped into X Rays. There it was, a broken femur as suspected. I was on the Operating table at 8pm that evening. Later that night I was wheeled into my hospital room and the night nurses took over and gently made me comfortable.